“In Quang Ngai Province, Republic of Vietnam…during the early morning of 8 May 1970, Lance Corporal Keith was seriously wounded when his platoon was subjected to a heavy ground attack by a greatly outnumbering enemy force. Despite his painful wounds he ran across the fire-swept terrain…while completely exposed to view, proceeded to deliver a hail of devastating machine gun fire against the enemy. That was 19-year-old Miguel Keith’s last day of life. Thanks to the Navy, Lance Corporal Miguel Keith’s name will live forever, starting with Navy Secretary Richard V. Spencer’s announcement that the newest expeditionary sea base will be named for the Vietnam War hero, making it the second vessel named for a Vietnam War Medal of Honor recipient. The first was a destroyer named for Marine Sgt. 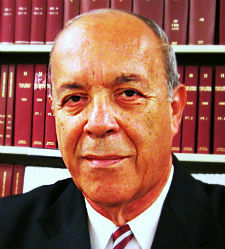 Alfredo Gonzalez. The USNS Miguel Keith is being built in San Diego at the NASSCO shipyard that has been building Navy ships since World War II. That is fitting because it was in San Diego, at the Marine Corps Recruit Depot, where Keith went through boot camp. Keith, by the way, was his stepfather’s name; his birth name was Hernandez. One might ask whether what Keith did in Vietnam on his last day was the result of his training at MCRD or later at Camp Pendleton’s infantry training? I went through the same training at the same places and I have no idea if I could do what Keith did. But there might be a clue in the border city where he was born. Also born in the San Antonio area were seven other Mexican-American Medal of Honor recipients, including World War I soldier David Barkley, whose mother was Mexican, and WWII recipients Staff Sgt. Lucien Adams, Master Sgt. Jose Lopez — the second most decorated soldier of that war — and Tech Sgt. Cleto Rodriguez. In the Vietnam era, in addition to Keith, there were Sgt. Santiago Jesus Erevia, Master Sgt. Roy Benavides and Marine Corps Sgt. Alfredo Gonzalez. In fact, 13 percent of America’s Hispanic Medal of Honor recipients are from San Antonio. Is there something in that city’s water? The ship-naming announcement comes just weeks after the Navy commissioned the USS Rafael Peralta, a guided-missile destroyer named after a Navy Cross recipient who died in the Second Battle of Fallujah in 2004. Sgt. Peralta was a Mexican citizen when he died. 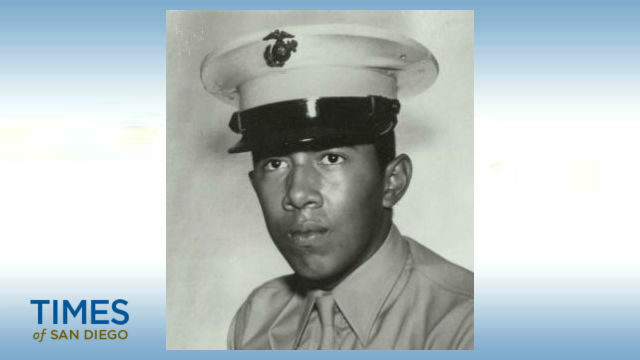 The Marine Corps recommended Peralta for the Medal of Honor because he grabbed an exploding grenade to his chest, taking the full force of it and saving the lives of his fellow Marines. But a civilian review board rejected the award. These civilians ruled that Peralta couldn’t have voluntarily pulled the grenade to his chest. Former Marine captain and now Congressman Duncan Hunter has tracked the armored vest Peralta was wearing when he died, and it shows irrefutable proof that the grenade exploded in his chest, not off to the side as the civilian skeptics believe. Rep. Hunter is leading the effort to award the Medal of Honor to Peralta. The USNS Miguel Keith will hit the water in two years — almost half a century since the teenaged Marine from Omaha and San Antonio added one more chapter of bravery “above and beyond” to the 242 years since the first Marine was recruited at Tun’s Tavern in Philadelphia on Nov. 10, 1775.